It’s been a busy past few weeks making our way around the state — from touring our Panhandle communities to survey the damage from Hurricane Michael, to hearing from members of the Miami-Dade County Farm Bureau, to working with my fellow Cabinet members to honor and remember the victims of the Parkland tragedy.I’m thrilled to continue working to implement our vision for Florida, and to share more exciting news with you in the weeks ahead. Take a look at some of the highlights from the past few weeks, and as always, please reach out to our Department if we can be of service to you. 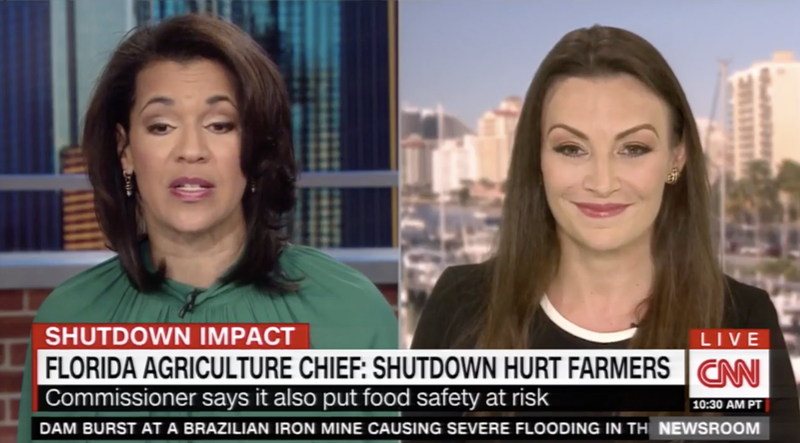 Commissioner Nikki Fried went on CNN last Saturday to discuss how the federal shutdown has impacted Florida’s farmers, agriculture industry, and our state’s food safety. Watch a clip here. 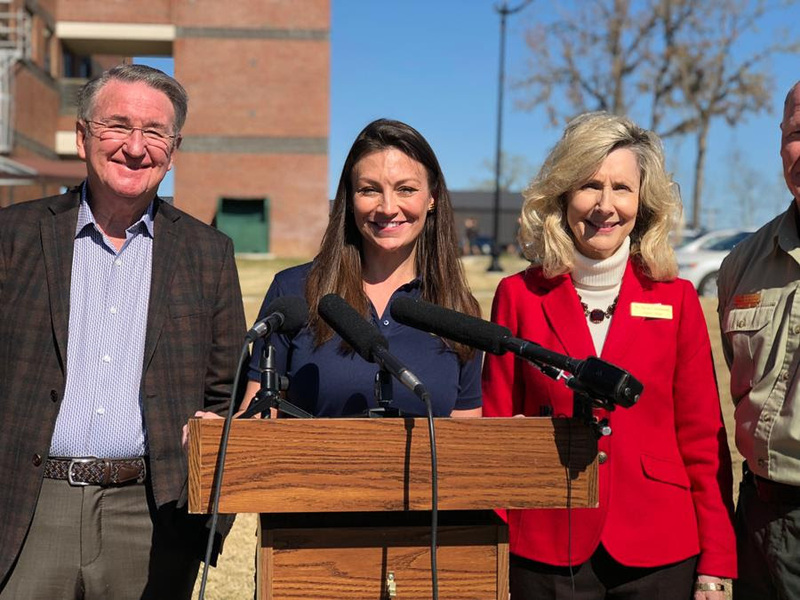 Commissioner Fried toured Jackson County with State Senator George Gainer and State Representative Brad Drake to survey damage from Hurricane Michael. 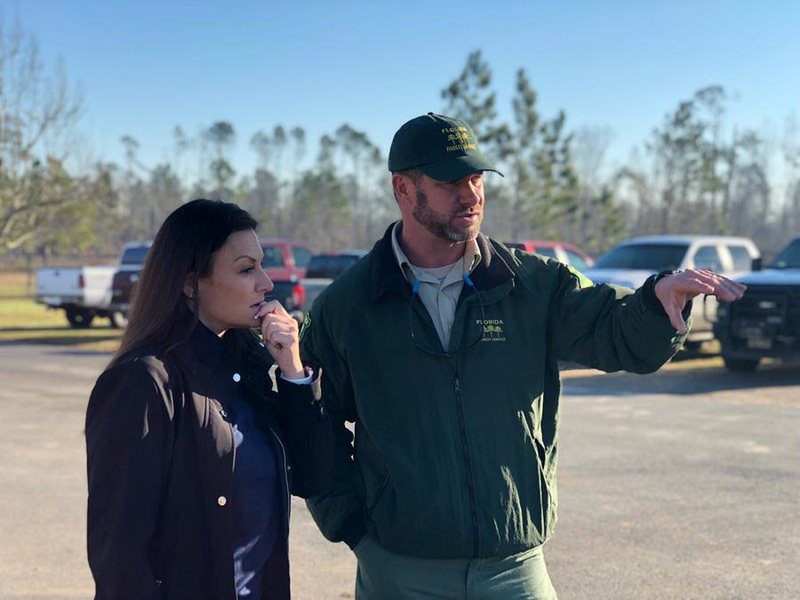 Commissioner Fried is briefed by the Florida Forest Service on the damage to farms and the timber industry during her survey of Hurricane Michael damage. Learn more about her visit here. 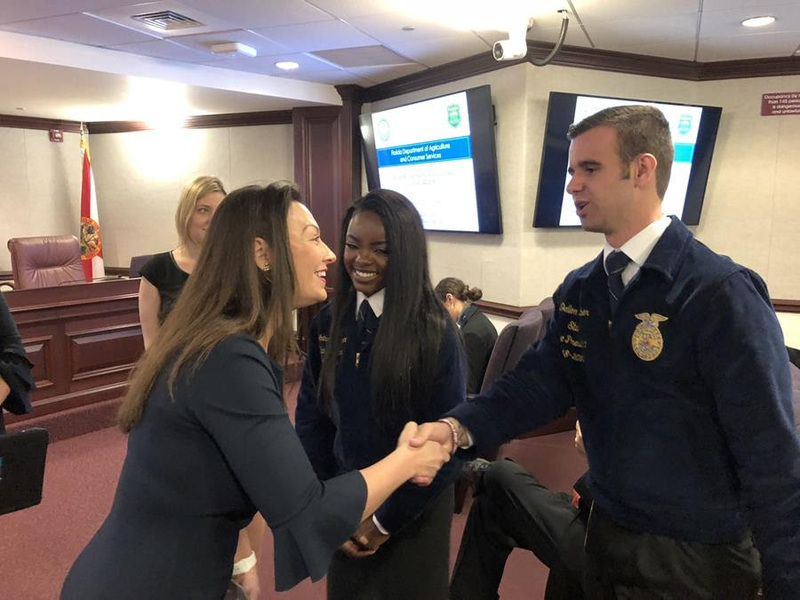 Commissioner Fried greeted Florida members of the Future Farmers of America before a Senate Agriculture Committee meeting. Commissioner Fried and Congresswoman Debbie Mucarsel-Powell held a roundtable with the Miami-Dade County Farm Bureau on trade agreements, water quality, and agricultural labor. 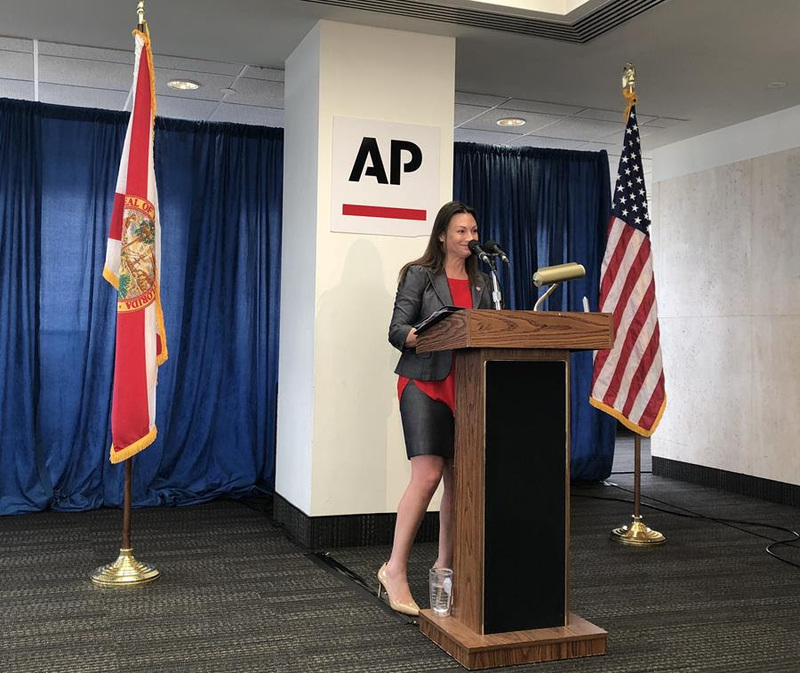 Commissioner Fried spoke at the Associated Press’ annual legislative planning session at the Florida Capitol. 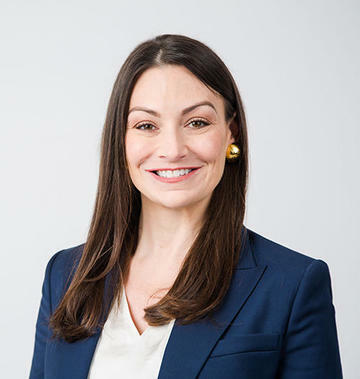 Read her comments here. 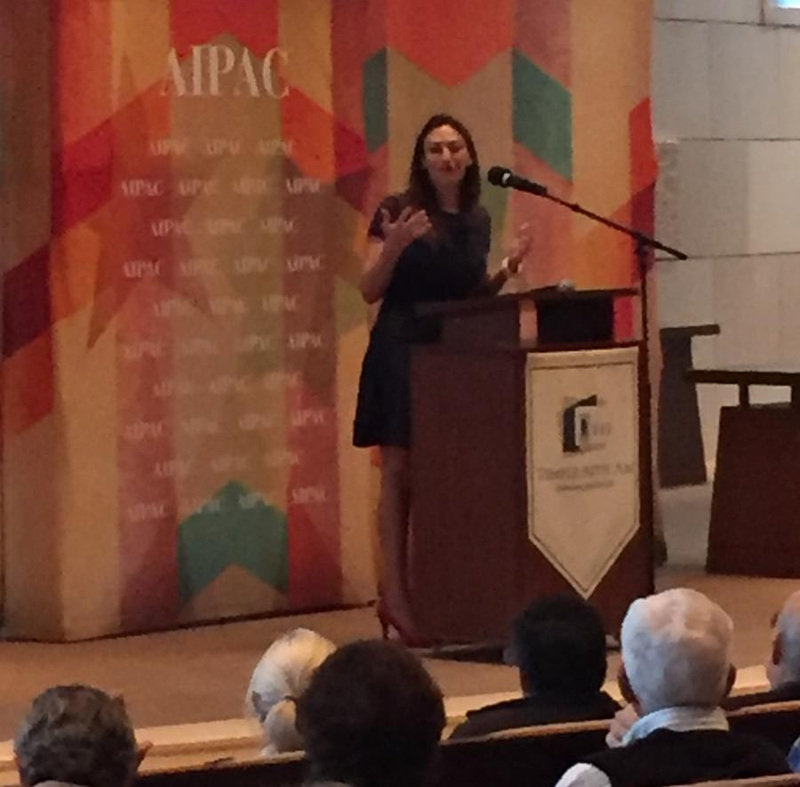 On the 74th Anniversary of the liberation of Auschwitz, Commissioner Fried spoke at Temple Beth AM, where she went to grade school and where she became a Bat Mitzvah. 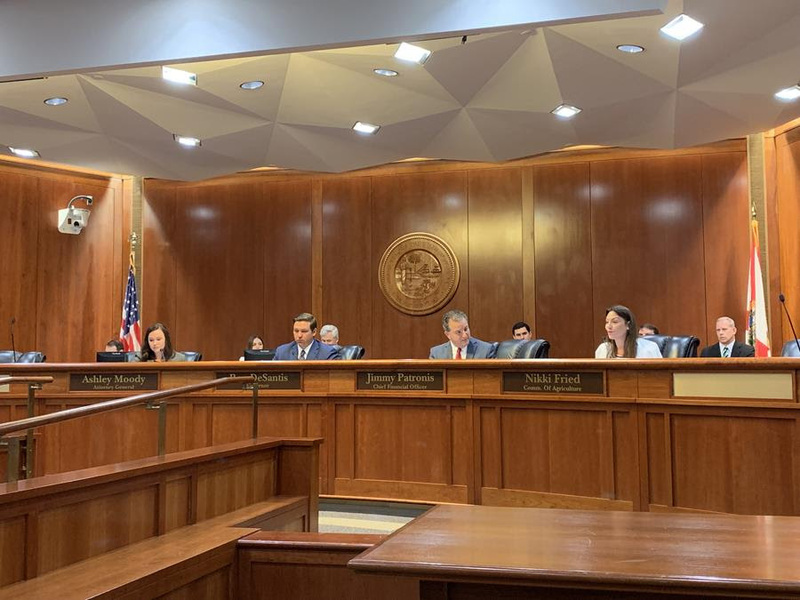 Commissioner Fried introduced a motion to honor the victims of the Marjory Stoneman Douglas High School tragedy, unanimously approved by the Florida Cabinet on January 29.